The title of this sketch is "Lonely." It's amazing how much of this sketch is still in the final game. The team experimented with a number of different scenarios, but one that remained throughout was the title of this sketch: 'Lonely'. (Before we decided on 'Abandon', the working title was 'Alone'). 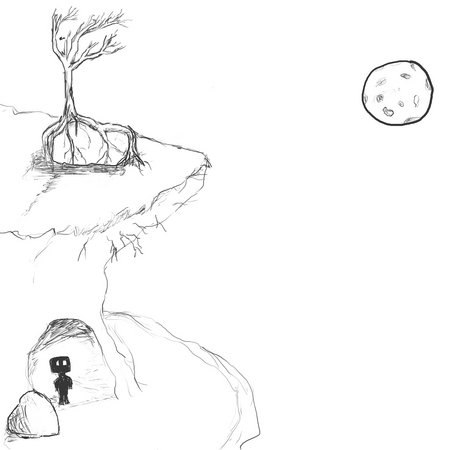 This is one of our many masterpieces of Programmer art :) Jiaqiang made it while Jerly was away..
Wow, programmer art? That may explain why I don't remember seeing it (wish I had - it's very good! ).